NOV. 12, 2018–Larry Michie–television editor of weekly Variety from 1973 until 1980 where he was part of a triumvirate of legendary TV editors at the trade newspaper–died Wed. Nov. 7 at an assisted living facility in Hadley, Mass. Thanks to Don Groves and Peter Cowie, Simesite has learned of the passing of Bob Hawkins in Rome on October 14, aged 93. 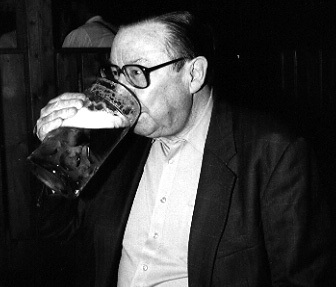 The Hawk (Hawk), as he was familiarly known to those at the old Variety, probably was the longest-working mugg on the paper, spanning his activities as stringer, bureau chief in London, International Editor in New York and finally Rome assistant between 1948 and 1998, a half century of involvement with the sheet. Over the many years, Hawkins’ fortunes in Variety soared and plummeted. His titles changed, meaningful or meaningless, as he snaked through a speckled, variegated career. For a while he was Number 2 man of Syd Silverman, then for a while superannuated outcast with a desk in the 46th Street ground floor sales department, though remaining on the masthead with a title. Under the Cahners regime he was fretfully buffeted from fair-haired senior statesman under one management to scorned supernumerary under another, ending finally in virtual exile in what for several years became the vestige of the Rome office, a room, off a courtyard, in an apartment building near the Tiber. He nonetheless maintained the honorary title of “Director of International Development” even after that vestigal office of what had been the mighty Variety presence in Rome under Hank Werba was closed in December 1997. Born in Genoa of American parents (his father was the Director of Standard Oil in Italy) and educated in a German school in Switzerland, Hawkins attended Princeton (a fact that at first endeared him to Syd Silverman, another ex-alumnus) and did a stint in the Intelligence Service of the Army during the war interrogating German POW’s. Later, he returned to Princeton for two years under the G. I. Bill. In his youthful years, the Hawk would write up two reviews for himself, one in the style of the New York Times and the other in that of Variety. He’d then check them against those published by the critics. During an interview in Rome made in preparation for my book Inside Variety (Madrid: Ars Millenii, 2000) Hawkins recalled: “My parents had gone to Venice for the Excelsior Hotel where the film festival was sort of born. I had gone as a kid before the War and seen it in a kind of different perspective. Then in 1948 I went back to see the films – because I either wanted to see films, or make them, or write about them. It was the year that Elsa Maxwell attended. She was writing stories for Abel Green and she wrote that an Orson Welles film – I think it was Macbeth – was a big hit, there was applause and so forth. I was there. And it wasn’t a hit. It was whistled (boo’ed). So I wrote to Abel. ‘I don’t think this sort of reporting is something that Variety wants, distorted reporting.’ Abel said, ‘Well, why don’t you send me some stuff? You seem to know the field, kid.’ I had moved back to Italy, staying in Genoa, living with my parents, going to Rome from time to time to see film people and going to events like Venice and Cannes. I used to ride down on my Vespa scooter. Throughout that time Hawkins had been doubling as a freelance photographer, taking pictures of stars and celebrities at the film festivals he attended and in Rome (see Hawkeye). Some of his pictures appeared in publications such as the New York Times, Paris-Match, Picture Post, Illustrated and in Britain’s Sunday Express and Daily Express. He was also contributing freelance articles to The New York Times and for a while wrote a monthly “Letter from Rome” about the arts. Then in 1966 Hawkins moved to London as European Manager, while Hank Werba took over the Rome office, having moved there from Madrid where he had been filing for Variety while at the same time, thanks to a special arrangement with Syd Silverman, also working as publicist for the American producer Samuel Bronston, who at that time was making a series of blockbuster films in and around Madrid. It was at Christmastime in 1969 that I first met Bob in the New York office, where I was applying for a job as Madrid correspondent. It was a Sunday and only Bob and Syd were in the office. After a short interview, I was accepted on a trial basis as a stringer. In February of the following year, the Hawk came to Madrid to make the rounds of the Spanish companies with me in preparation for the big Cannes issue that year. We spent four or five days visiting clients, followed by another two or three in Barcelona, during which time, from morning until night, Bob primed me on anything and everything concerning Variety, which he revered and which was his life, as it was to so many others on the old Variety. Who was who in New York, how best to file my copy, where to look for stories, what film festivals and film markets were important, how best to approach potential customers. Every now and then he did touch upon some cultural subject, and I was duly impressed by the wealth and scope of his knowledge and his linguistic abilities, which included fluent Spanish. As the itinerant representative of the paper, he seemed to me the perfect diplomat: suave, convincing, distinguished. However, one day I did see his “Latin” side erupt. It was when, upon leaving the office of some customer in Madrid we came to the elevator and it turned out to be out of order. This was too much, and suddenly the Hawk let loose a tantrum of abuse against all things Spanish. That year he joined me at the San Sebastian Film Festival and showed me the ropes. He seemed to be on familiar terms with all the key film industry reps, both Spanish and international, including the top executives of government organizations and the MPEA. His love of films was not feigned. And I remember him telling me one evening, after we had seen a real stinker in competition, that he loved “film” per se, in other words, the medium of film, even the bad pictures. Then, in 1976, Hawk was brought over to New York by Syd as International Editor to join Silverman and Bob Landry and joined them on the “poop deck” on 46th Street. The idea was to bolster the managerial structure in response to the burgeoning scene abroad. Chosen to replace him as bureau chief in Blighty was Roger Watkins, who within a short time boosted sales and improved morale in the office on St James’s Street. Bob, a highly sophisticated and cultured man, but sometimes given to a streak of Italian petulance, spoke five or six languages. His trademarks were meticulousness and attention to detail, which critics saw as petty nitpicking. The quip in the old brownstone at that time ran: “Why was Bob brought over to the New York office?” Answer: “So he could go to lunch every day with Syd.” In fact, Hawkins helped edit incoming copy while attempting to impose some sort of method and structure to the largely disparate activities in the paper and rein in the freewheeling but usually successful activities of the “hybrid” mavericks abroad. For a while the Hawk sat on the editorial dais on 46th Street with Syd and Frank Meyer, who had been made managing editor in 1983 after Bob Landry’s retirement. When Mark Silverman was moved up to the dais, Bob was ignominiously moved down to a desk in the back of the advertising department on the ground floor. After the sale of the paper in 1987 and the move of its offices to Park Avenue South under the new Cahners’ regime, Hawkins’s services were eventually dispensed with in New York and he moved back to Rome in 1990. 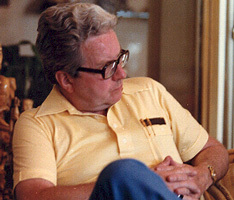 When Hank Werba died in 1992 and the Rome office was shuttered, Hawkins took over the remains of the paper’s activities there, handling matters such as circulation and subscriptions. In 1995 Hawkins co-authored, with David Rooney, Italian Cinema: from the Golden Years to the 1990’s, published by Variety, which included several of his much-prized photos of personalities such as Ingrid Bergman, Vittorio De Sica and Alberto Sordi. The Hawk is survived by his wife, Rosella, and three children, Christie, Carolyn and Frederick. “I opened Variety’s first Italian office, in Rome, in 1954. ‘Opened’ is sort of an exaggeration. Actually, I rented a tiny, windowless room in the larger offices – right off Via Veneto, in Via Sardegna – of an enterprising young American actor/agent, Chris Hofer, who had graduated from minor roles in local films to finding similar roles for other hungry Yanks in search of similar spots. “Chris allowed me to run a (probably illegal –but what wasn’t in those days?) phone line from his switchboard, and, with desk and chair, I was in business. As in those days almost every film activity revolved around Via Veneto, the Excelsior Hotel, the Café de Paris and Doney, plus the nearby restaurants, the location, if not the setup itself, was ideal. “Variety, which first got to postwar Rome as a promo giveaway for prominent Hollywood mogul guests of the Excelsior, soon attracted attention – and sales – in the key newsstand across the street from the hotel. “When Chris died tragically in a car crash, I moved to another rented single room across the street, this one with a window and an elevator which in those days still needed a coin to operate. But I now had my own phone. 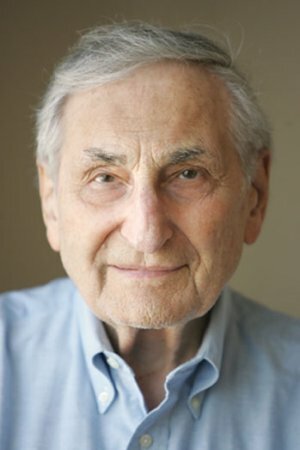 It was with great sadness that Simesite learned last week that our former boss, Syd Silverman, has passed away in his home in Boca Raton, FL on Sunday, August 27. He was 85. In the past few days obits have appeared in the New York Post, The Hollywood Reporter, The Los Angeles Times and The New York Times. Following are a few remembrances of Syd. If you would like to add to these, please send your contribution to: peterbesas@yahoo.com for posting on our website. The two wakes and funeral service Sept. 8 and 9, 2017 bid a fond farewell to former Variety publisher Syd Silverman in White Plains NY, where Syd lived most of his life. Muggs in attendance were Heidi Downey, Tom Gilbert, Elizabeth Jensen, Robert King, Steve Knoll, and Patricia O’Connell. In addition, Frank Meyer’s widow Mikki Meyer was on hand. Those paying their respects viewed photos on display from Syd’s family, including grandfather Sime Silverman who founded Variety, images of Syd’s personal passion of car racing 1950s vintage sports cars and Variety too. His eight grand-children attended, as well as his four children Marie Silverman Marich, Michael Silverman, Mark Silverman and Matthew Silverman. Mark assembled an impressive 200 slide photo presentation that drew a constant crowd of viewers. The day before Dad died, my daughter Carolyn got married, on Saturday, Aug. 26, 2017. The first of his 8 grandchildren to walk down the aisle. A lot of people laughed when I said that I started my research for the Toast to the Bride & Groom by Googling “Great Wedding Toasts.” But I didn’t need to Google “How to Write a Eulogy for your Father.” Because I knew that it would be impossible to shoehorn a lifetime of learning from him into a simple speech. Words. Sentences. Mere pebbles of wisdom along the riverbed of a life well lived. I worked on that platform with him on 46th St.—5 feet apart — for 6 years, then 2 more in my own office just outside his after the sale to Cahners. In the beginning, he sent me to London for a year to learn the international ropes, and to L.A. twice more to learn the meat and potatoes of the Hollywood machine. But it was my rides with him to Valley Stream, Long Island on Tuesday press days that he taught me the business by osmosis, sitting in the car next to him — days that started at 7 am and ended at midnight after the press check in Brooklyn — if the printing press didn’t throw a gear and delay us until 4 a.m., or even later. Those rides were seminal, because I asked a lot of questions about the business — in the quiet hum of the ride on the Southern State Parkway, in private, and his answers were measured, thoughtful and wise. But it was a privacy we never had in the open floorplan of the 46th St. office, and I felt like he could impart his wisdom freely, no outside interference to create static. Just him and me. Learning from the master. Grasshopper to his David Carradine. I was still in my 20s, but I knew he trusted my instincts and my acumen – and really, could there be anything better than writing headlines all week in the birthplace of slanguage? Think about it. Words that we invented and the dictionary added to the American lexicon: Baloney. Boffo. Corny. Cliffhanger. Whodunit. Knowing you could never top the iconic headline “STICKS NIX HICK PIX” didn’t keep any of us from trying every week. Dad always displayed honor, truthfulness, integrity, in all matters of his life, business or personal. A Boy Scout. Do unto others, The Golden Rule. Old School through and through. He was also a soft touch in some ways, but it was a part of who he was, his childhood, an only child living with 2 parents in poor health. Dad was a very private man. Orphaned at 18, no siblings to lean on, to learn from, to laugh with, or to hug, think how lonely and isolated he must have felt, the responsibility to all the people that depended on Variety, all of that on his young shoulders. I think Variety became his new family….until he met Mom, and they started a family of their own, and built a wonderful life together, and for us. He was my hero. He was Don Draper to me, but with none of the bad habits, a dashing, well-dressed, soft-spoken conservative who I watched growing up as a child of the 60s and 70s. JFK, the Moonshot, Woodstock, Vietnam. It was a heck of a time in history, and he helped Variety chronicle the new media as it unfolded into the 21st Century. “There’s a reason God gave you 2 ears, but only 1 mouth. Listen more, talk less.“ (I think he meant that for my mother, but I got half her DNA, too, which is where it must come from.) I’m still working on being better at that. Just ask my kids. Thank you dad, for being my father, my teacher, and my friend. And for a life well lived. Dad was no technologist. F’rinstance, after he had moved to Boca Raton, Florida, with his second wife, Joan Hoffman, who had also been widowed like Syd, I bought him a Mac desktop computer with keyboard and mouse, around 2006. I explained to him that the “desktop” on the screen was like a desk at home with manila folders on it, with documents inside the various folders. I showed him the nuances of double-clicking the mouse to open folders, and to even drag one folder inside another folder. I moved the mouse around on the office desk to show him how the mouse moved the cursor on the screen. He thought it was akin to rubbing your head and patting your stomach at the same time. So I handed him the mouse and said, “Now, move the mouse so it moves the cursor on the screen where you want it to go.” So he grabbed the mouse, lifted it up and put it right on the computer screen, and moved it around like he was polishing a mirror. That was pretty much the end of his interest in desktop computers. But Syd was smart enough to realize the huge advance the fax machine had made over the Telex, and Variety was the first worldwide news organization in the late 70s to have a global network of fax machines (I believe the machines were first made by a subsidiary of Exxon, actually). We beat the NY Times in that department by 4-5 years, maybe more. Every office and bureau got one, and soon even our stringers who worked for other entertainment or media outlets were clamoring for the new gizmo. So while the rest of the world’s greatest media outlets were standing in a 6-hour line at the Cannes Palais Telex Room to file their reviews, we were hammering ours out on Royal typewriters in our own newsroom, in the Josefa Apartments behind the Carlton Hotel, and faxing dozens of film reviews every day to LA and New York. We beat all comers in that regard for years to come. After Dad, or maybe it was a tie, my other great teacher was Roger Watkins, the London bureau chief who mentored me and taught me the international ropes from September 1981 through July 1982. After the Cahners buyout, Roger got my vote for the new editor-in-chief to succeed Syd, which he did. Roger was the cub reporter in London in the early 1960s who alerted legendary Variety editor Abel Green and the Music Department in NY in 1962-63 that The Beatles were more than just another group with a girlie fan base, they were becoming a global phenomenon. “It’s only rock & roll” Abel supposedly famously telegrammed to Harold Myers, Roger’s boss in London at the time. With that, Variety ceded that part of the entertainment business to Billboard, pretty much forever. Thursday, after London received the Wednesday issues, Roger called me from London to proffer perhaps a better play on the event than my headline had displayed. “Mark,” he said, “did you think about ‘WALL ST. LAYS ANOTHER’ ”? I almost cried myself to sleep that night, knowing I had whiffed it. When I was growing up in the ’60s, watching reruns of “The Lone Ranger,” westerns and war movies, my movie hero was John Wayne. Especially in the John Ford cavalry westerns, John Wayne was the quintessential strong, silent type. Tall, measured in word and deed and a leader of men, he was everything you’d want to be. And so was Dad — he was my own personal John Wayne. Reserved, respectful of others, considerate to a fault, he set an example of how to be both a leader and a true gentleman — and also a gentle man. I thank and revere him for introducing and teaching me in my favorite pastimes — golf, fishing and auto racing. There’s a saying that real men don’t cry — I don’t remember ever seeing John Wayne shed a tear in the movies — but I remember seeing my Dad cry just four times in my life: when my mother Jan died in 1997; when Jim Clark (Syd’s own racing hero) died in a racing accident in 1968; and when my classmate John Foley’s dad died when we were 9 years old, leaving behind a young widow and three kids in a tough spot. The fourth time was when he returned from a goose hunting trip with our “Uncle” Carlton, his military high school roommate from Manlius. Dad was almost despondent, saying he and Carlton stood up in the duck blind as a flight of Canadian geese floated in like a squadron of Corsairs making a carrier landing. He choked up describing how he felt obligated to “take this magnificent bird down.” He didn’t want to disappoint Carlton, who’d arranged the entire hunting trip, so he pulled the trigger. I remember he gave the goose, by then in the freezer, to the priests at Our Lady of Sorrows, knowing he would likely have choked to death if he tried to eat it. That was Dad — considerate, generous to a fault — that he would take the figurative bullet rather than disappoint a friend. Dad was lucky to be surrounded by great people, like Harold Erichs, who stewarded Variety forward during the six years Syd was at Princeton and subsequently in the U.S. Army as a second looie. And he was a great judge of talent when it came to hires for Variety, many of whom served for decades in the Roman galley on 46th Street. He gave good reporters the leeway to write it their way and the resources to do their job without undue influence from the top. And they rewarded him with their best work and undying loyalty. And he was smart enough to hire Tom Pryor, the editor of the west coast daily, who kept Daily Variety as the lead chronicler of Hollywood for 30 years, from 1959 to 1988. Syd had the same approach when he hired Randy Riggs in 1997 to be the editor at Vintage Motorsport magazine, which Syd bought in 1990. Twenty years later, I’m proud to note that Randy and I are still working together. VM has the top editor in the business thanks to Dad’s instinct to hire the best people and give them the free rein to strut their stuff. I worked for Dad twice, for 12 years at Variety, and another 10 years at Vintage Motorsport before I bought it. He refused to overpay for talent, so both times I worked for penurious wages, but loved every minute of it. In 2000 I was “between gigs” as they say in Hollywood, and the advertising manager Judy Marchione had just left, and he asked me if I could use my publishing experience to help him out with Vintage Motorsport. It was like racing in a wheelchair with 100 horsepower. I’m happy to report we beat the octogenarians by a half car length, and proceeded to spend gobs of quality time with Dad at vintage races at the best tracks across North America for the next decade. As a result, I’ve gotta be one of the luckiest boys on the planet since Gepetto created Pinocchio. I can’t believe the cars I got to flog on legendary race tracks, all the while with my father in the same race group on track. I have memories of him coming out of a corner behind me in his Sunbeam Tiger Le Mans coupe, seeing his eyes crinkle in laughter behind the helmet visor as he glanced over at my underpowered Lister-Jag, and punched the Tiger’s 289 cubic-inch V8 and left me in his dust on the straightaway. And we’d then get to relive the moment and laugh post-race at countless race-city eateries with his racing partner John Harden and the jovial crew, and Syd’s most-sociable 2nd wife Joan. How many sons get to experience that? I’m ever so grateful to have been one of them. 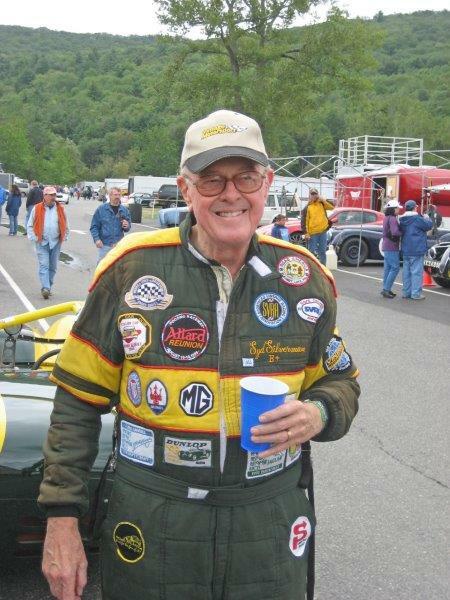 Dad was a voracious car collector as he furthered his affinity for historic racing, and was as far as I know at one time the most prolific collector of Lister race cars on the planet. The dichotomy was that for one of the most gentle and gentlemanly souls you could know, he owned some of the most ferocious 1950s race cars ever built — the Allard JR that ran at Le Mans and the beastly Allard J2X, a Hemi-powered locomotive that could turn your hair white in 7 laps. I know that from personal experience. Never the fastest driver on the track, it didn’t matter to Dad as he was one of the most enthusiastic participants in historic racing who ever turned a wheel on the tarmac. As in the rest of his life, he was keenly aware and considerate of the other guys on the track, always on the predictable racing line and with a clear point-by if you earned it. It’s been said that instead of inheriting the showbiz trade paper Variety, he’d have been happier if he’d been the heir to Road & Track. Syd got his final checkered flag on August 27, and I’m sure he’s on a race grid right now ready to go out on the pace lap with his racing buddies like Mike Stott, Alan Patterson, Tom Mittler and Bob Fergus. As we sally forth from here, we should follow Dad’s example: look far forward, watch your mirrors, and help others with a clear point-by should they need it. Dad may have never personally won a race, but he was a winner in every other way. And so were all of us for having the privilege of knowing him. His parents died when he was a teenager. He did not talk about it. He did not talk a lot about feelings—like a lot of fathers I knew from that time—but he led by example. He planned a family trip in the early 1970s to Europe to show us where he and my mother lived when they were first married, but it was more important to have my cousin Cathy’s wedding at our house. We took short driving trips for vacations to Washington D.C., Hershey, and Gettysburg because he had to be back in the office on Sundays. During the few summers I commuted in with him to Manhattan, we always drove. He parked in the lot where the old Madison Square Garden used to be—except on Sundays, when he had me drive and cram his Cutlass into a spot on the street. He was a man of routine. Saturdays he took us to Milk Maid in White Plains for lunch. When you were at Variety on Sundays, you went to the Gaiety Deli. Every night of the week it was to Sam’s of Gedney Way. You did not go to a place for dinner that did not have a proper bar. It was the things he did that were out of routine that stick most with me. The aimless drives to Bedford or Brewster in his sports car (pick one). The trips to Playland still amaze me because they were so out of character. But I remember most our trips to Shea Stadium, which was not his thing at all, but we spent most summer Wednesday or Saturday afternoons there when they—and we—were home. Each book I later did on the subject almost felt like a confirmation: “See, you weren’t wasting your time.” It was never a wasted day spent with my dad. The Saturday we saw the fifth-place Mets at uncharacteristically packed Shea and bought seats in the top of the upper deck is the night Variety staffers and industry contacts can thank for the bizarre perk of Mets season tickets via the Entertainment Industry Bible. He even picked out the seats: right behind the plate, above the announcer’s booth, but in the third deck, so seats cost less than $5 per game. Always with an eye on the bottom line. My grandfather was devoted to his grandchildren, generous, kind, and thoughtful in his support of us. He exuded a quiet confidence in all of us that made us aware of his constant love. My junior year of high school, Grand Pop drove the three hours from Rye to my boarding school in Massachusetts, Deerfield Academy, to take me out to lunch. As we sat down, he asked me how applying to college was going and at which schools I was applying. Obviously one of the most stressful times in my life, I gave him the run down (I’m applying to anywhere I can get in to get my parents off my back). He told me he hoped I was considering his Alma Mater, Princeton, and that he wanted to write a letter to admissions in my support. Stunned by the notion that someone thought me capable of getting into Princeton, I shook my head and laughed. While I was obviously flattered by his perception of me, I had to gently let him know that sadly, according to admission statistics, the likelihood of my admission to Princeton without a building donation was slim, but I was grateful for his confidence in me. First, loyalty; Grand Pop was fiercely loyal to his family, friends, and my two grandmothers, Jan and Joan. He felt a great deal of responsibility for those that he loved, and wanted us to be as joyful as we could be if he had anything to do with it. Second, the importance of your family and knowing your family’s history; he knew the importance of family having shared experiences, that it brings us closer together. Passing down traditions and stories from one generation to the next strengthens our collective identity. Everyone in my family knows that the Variety logo was drawn on a cocktail napkin by my great-great grandmother, and that in the 1920s Times Square was nicknamed “Sime’s Square”. These are stories that we are proud of, and I can’t wait to share them with my children one day. Finally, unrelenting kindness; Grand Pop always went out of his way to be generous, doing favors where he could and making sure that we knew we were loved. Whether it was driving three hours to see his granddaughter, or letting our rambunctious family of six stay at his 2 bedroom apartment in Florida for almost a week straight each year, he always made the effort to make us happy. As I think about my life going forward without my grandfather, the best thing I can do to make sure he’s always with me is to try to emulate these three qualities each day, guaranteeing that those around me feel loved and cared for. Syd is gone, and maybe with him dies a whole era of show biz journalism. Or perhaps that happened 30 years ago when Variety was sold to Cahners and the old brownstone on 154 West 46th St. was knocked down by the bulldozers. The first time I met Syd was one Sunday right after Christmas in 1969 when I applied for the job as Madrid stringer. In the presence of Bob Hawkins, who happened to be in New York on a holiday, Syd struck me as a soft-spoken Ivy League gentleman, the antithesis of what one imagined the hard-boiled owner of such a prestigious show biz publication would be, though the office, as so often has been commented, did call forth images of Front Page. That impression was reinforced during the 48 ensuing years that I knew him, though we’d meet only a few times a year, usually at the film markets and in New York. His demeanor was always gentle, his admonishments measured. In the course of all those years, I only remember Syd getting angry on one occasion. That occurred once while all the muggs were having lunch on the Carlton Beach in Cannes in 1975. Hank Werba kept harping on some point over and over again until finally, exasperated, Syd said, “Shut up, Hank!”. That for Syd was like someone else letting out a string of crushing expletives or resorting to physical violence. Mort Bryer, who knew him far better than I, tells me that usually, when displeased, Syd would simply fall into a kind of brooding silence. But I never experienced that. On the relatively few occasions I’d see Syd, he was always congenial and, it seemed to all of the muggs, amazingly indulgent. Sometimes, in the Carlton Hotel in Cannes, there would be a meeting of the muggs in his suite, and once Jan had finished arranging the flowers and left the room, the muggs would go at each other, often with unbridled ferocity, airing their beefs, lobbying their brainstorms for improving the paper, attacking the inadequacies of the New York office, with the usual counterattacks ensuing. Hank Werba would blurt out, “Syd, we gotta do this section! The Maghreb! The Maghreb! !” And Syd would just quietly listen to it all, and maybe smile. He was the boss. But seemingly no deference was paid to him by these staffers. After all, he possibly thought, who wants to wrangle with these veteran curmudgeons? These “entrepreneurs”, each of whom ruled over his own “territory” like a feudal lord and was an expert in everything relating to it. And, after all, weren’t they getting results by giving them a free rein and coming up with more and more special sections? After the stormy session had passed we’d all head down to one of the eateries on the Croisette, often a dozen or more of us, and naturally Syd would pick up the tab, as he always did. I remember the shy, somewhat withdrawn Syd in Milan – he hated to make speeches or have the spotlight shine upon him – when the head of the Mifed, Dr. Franci, invited all the Variety correspondents to luncheon in a private dining room in the Fiera, and Syd would be given some present by Dr. Franci, which he sheepishly accepted, and then muttered some words of thanks. The muggs, too, received presents, and I still possess a handsome heavy bronze medallion which I use as a paperweight. When in New York, where I always spent March on the top floor (Sime’s old haunt where wild parties took place, I was told, in the 1920s) preparing my yearly Latin American issue, Syd would usually take me out for lunch at the La Strada restaurant, a few doors down from the office. We always started with cocktails, though his favorite was Dewar’s. At other times we’d head over to the Gaiety Deli, on the south side of 48th St. crossing Times Square, where he’d order a chicken salad sandwich. When I was preparing my book Inside Variety after the sale of the paper to Cahners, I interviewed Syd in his house in White Plains in 1993 and 1994, then in Greenwich, CT two years later, and got to know him a little better. But I spent most time with him when in 2005 we were preparing the 100th Anniversary celebrations of Variety in Sardi’s that required meetings with him in London, White Plains, his house in the Catskill Mountains and Boca Ratón. At the same time I had easily convinced him to have a Souvenir Album printed for the occasion, that I would handle out of Madrid. Always gracious, he gave me virtual carte blanche on the Album, asking only that nothing negative appear about Harold Erichs, the former “manager” of Variety, or whatever his title may have been. The 150-page Album, containing nostalgic articles from more than two dozen staffers was a great success. Syd wrote a short Introduction for it, saying how the friendships he had made with those who grew up with the paper were everlasting. I remember Syd accompanying me to the plant in Valley Stream, Long Island, where the paper was laid out each week at Balan Graphics, and his spending the day with me, telling the make-up ladies where to paste the strips of text on boards for “my” Latin section, while the department heads sat at a table correcting page proofs or, when there was nothing to do, playing a hand of poker. And at lunchtime we’d head over to the Valbrook Diner, with Syd first stopping off for a libation, where the muggs would munch on sandwiches before returning to the plant to put the paper to bed. Syd tended to be taciturn much of the time. I remember Jack Loftus, the TV editor, once telling me as we sat in an outdoor restaurant in Cannes during the MIP, “If you want to get Syd to talk, ask him which is the best route to take from some place in Connecticut to New York. His eyes will light up, and he’ll give you a detailed itinerary, with possible variations.” We all knew that Syd’s great passion was not show biz or journalism, as had been the case with Sime and Abel Green, but cars. So it was greatly to his credit that for most of his life he kept alive the paper Sime had founded and that had become “home” to a family of muggs of every conceivable stripe and character. Each day Syd, a wealthy man, schlepped into the dumpy 46th St. office and sat on the poopdeck. The framed Doris and Eddie cover from The Saturday Evening Post hung behind him on the wall, and the big picture window that had the Variety logo painted on it looked down on the street. For many years he alternately sat opposite Abel Green, Bob Landry, Mark Silverman, Frank Meyer, editing copy and preserving all the quirks and oddities and slanguage and traditions of the paper. Instead he could have been lolling in some country club or racing vintage cars. But instead he’d grab a sandwich at a nearby deli, dodge the traffic on Times Square, wrangle with a dozen or more testy reporters and see the paper through the press each week at Valley Stream and then next day spend hours in the noisy, hot printing plant in Brooklyn. When I think of the crazy assortment of people that were thrown together in New York and abroad (I barely knew the ones at the Daily Variety in Hollywood), it always amazed me how Syd could ride herd over such a disparate, idiosyncratic bunch of oddballs. “There may be a guy you wouldn’t necessarily want to invite to a dinner party in your house, but who is a good reporter, and that’s what counts,” he once told me. Syd, the epitome of a gentleman and decent guy, is dead. Syd knew how to throw a nice party! I went to the Watkins Glen NY vintage car races in 2002 where Syd, my father-in-law, was hosting a cocktail party honoring Bobby Rahal, the famous racer. Rahal had just exited as head of Jaguar’s Formula One racing program. As I headed for the race track’s clubhouse, I saw a stream of people entering. I figured there must be multiple events, right? But no, the throng was all for Syd’s event for hundreds of his closest friends in racing. Rahal gave a memorable talk about needing grit in racing, and not just horsepower and money. The low-key, affable Syd stayed in the background but clearly enjoyed bringing his friends together. Syd owned some interesting cars circa 1940s-50s—strictly for racing, seating one or two and not street legal. I remember he owned a British two-seater that was the first professional ride for famed racer/car builder Carroll Shelby. The 1949 MG TC was sitting in front of Syd’s trailer at another race and, lo and behold, Shelby himself came by to admire the car and confirmed its provenance. He chatted to Syd too…they clearly knew each other. Syd is in my thoughts and prayers. He was an all-around great guy and I will miss him. You might find it hard to believe but I remember being in this photo from the mid 1990s. 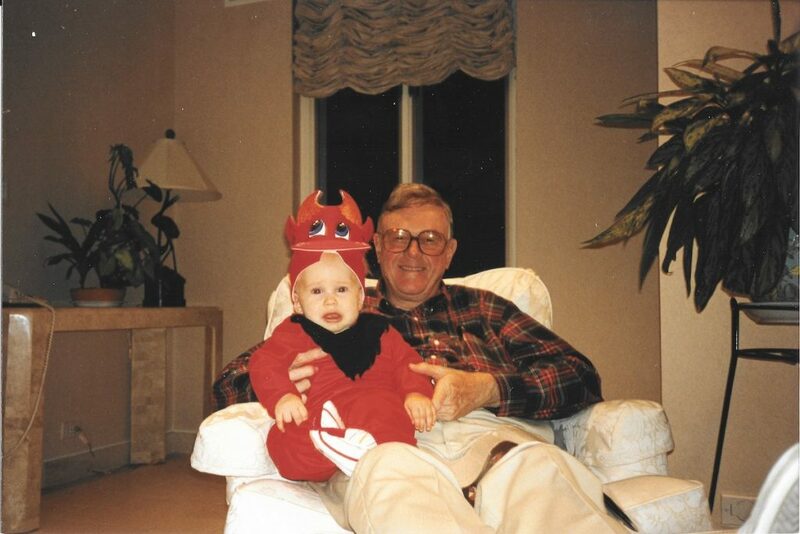 It was just my third Halloween and I’m in the devil costume sitting the lap of Syd, who is my grandfather. I am age 24 now. closer supervision on me than I realize at the time. We’d also go to Deer Keep, his beautiful vacation home two hours drive to Catskill. I spent a lot of time with Pop over the years. In May and July of this year, my parents and I visited Joan and him in Florida. I’ll miss him very much and know he is now in Heaven. Since everyone who worked at Variety was part of an extended family, this is a loss that will be keenly felt by every surviving member of that family. In his years as Variety’s steward, Syd upheld the unique tradition of solid, independent trade journalism that began with his grandfather. He presided over the leading publication in film, television and allied fields, and he maintained that publication’s dominance throughout his tenure. Syd was a model gentleman who never raised his voice and treated everyone who worked for him as an equal. My own relationship with him (beginning when I joined the paper at the age of 21) could best be characterized as one of mutual respect and great personal warmth. In many respects, my years on Variety were the best years of my life, and so I owe him a debt of gratitude. The following is excerpted from the blog “classicmoviechat” posted on Sept. 7 under the headline “Farewell, Variety’s Syd Silverman” by the above two ex –muggs. 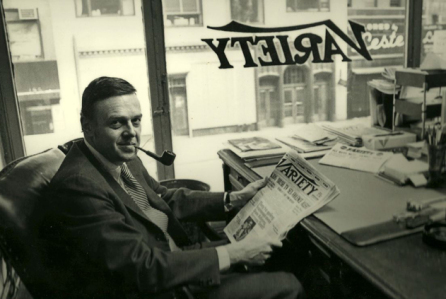 We pause today to pay our personal farewells to Syd Silverman, publisher and editor of Variety, the fabled show business trade paper where Joe cut his teeth in the late Sixties and where Frank spent the bulk of his career in journalism…. Our condolences to Syd’s wife, Joan; and to his offspring, Michael, Mark, Marie (and her husband Bob Marich), and to Matthew. Apologies for my tardy tribute to the great Syd Silverman. Jenny and I were on vacation in France when he passed and I was not aware of that until I checked Simesite earlier this week to see if there were any postings on the Hawk, as I had just heard of his passing. I was moved and deeply touched by the Simesite odes to Syd from his sons and colleagues. As most muggs know, Syd hired me to take over from Miha (Mike Harris) as Sydney bureau chief after the latter ankled to join the Australian Film Commission as North American sales chief. I will never forget my “audition.” Mike had recommended me to Syd but he was unwilling to hire me sight unseen, reasonably enough, so Miha and I flew first class (Miha’s preferred form of air travel) to New York at Variety’s expense. I met Syd and colleagues in the office and we had dinner at he Algonquin, where he confirmed I had the job. I was so jetlagged I am surprised in hindsight that I made a sufficiently good impression! Thus began my 24-year Variety career (minus a sabbatical when I joined Hoyts, which lasted six months), the longest, happiest and most fulfilling phase of my checkered career, which ended when Koones, Mika and Bart foolishly decided to close the Sydney bureau. Syd was the most upstanding, honest, ethical, generous and supportive boss I ever had. I sometimes wonder what might have happened if he had not sold Variety to Cahners, but I know he feared for the future of the paper, indeed the institution, with vultures like Murdoch circling. I treasure memories of the times spent with him, Mark, Mike and Marie, including a few lunches or dinners at his White Plains abode. I will always cherish my friendships with the Silverman family. I was just 19 when appointed a reporter at Variety’s Australian Bureau, under the expert care and training of Dogo. Part of my induction was understanding how Variety was created and managed, so Syd soon loomed large in my perhaps then naïve view of how this legendary paper was put together. Don mostly had dealings with Syd, and travelled to the film markets and the annual NYC visit for our Australian section, but occasionally I would receive a note from Syd in our weekly courier drop to and from NYC on the green Variety paper commenting on or praising an article or review. And then (gasp) the occasional handwritten note via that weird new contraption, the fax machine. I couldn’t believe he would take such an interest in a cub reporter, but that was the kind of man he was. Put up at the Algonquin in a freezing winter (itself a shock), I ventured to the Viking ship 46th St office, to meet the only person I’d ever met from head office, Bob King, who came to Australia to help with sales for the section. Then called by Norma to meet Syd, in his (not) office. Much like Dogo, I was completely jet-lagged and stunned by his agreement, despite my age. It was over lunch at La Strada, and I was again stunned by this charming but so quietly spoken man who gently asked questions about my background. While downing a few Dewar’s, before the toothpick came out. I loved that mannerism. Every time since I saw Syd that toothpick would be there, after that meal and drink, be it at the diner near the Valley Stream printer or a dinner at Cannes. One favourite memory was a dinner with the cream of New Zealand’s nascent film industry luminaries in the late 80’s at Cannes, which I’d organised at a restaurant on La Croisette following our first ever stand-alone (and bountiful) NZ section (as opposed to being part of the Australian section). Everyone had trouble understanding Syd and especially his wife, Jan, with her broad southern accent, which to us was like something out of an old movie – but also vice-versa as New Zealanders have their very own odd drawl. Much bemused, Syd, as always, (and I don’t think he had encountered a Kiwi contingent at Cannes before), watched and made the occasional contribution (New Zealanders are quite boisterous and a bit hard to get a word in!). After quite a few bottles of rosé for us lot and scotches for Syd, he took helm of the large group, spinning a yarn that brought silence to the table. He warned them all about film distribution in the US and the dangers of a country shutting down over Christmas, citing the failure of the release over the festive period of Australia’s Breaker Morant in the U.S. some years before as a completely lost opportunity by Australian distributors for not following through as “we were all on holiday” – and the industry losing a crucial foothold into entering the American market for some years. The Kiwis took notice! And of course Syd picked up the tab. And yet here was a man who paid a Christmas bonus (has that ever happened anywhere?) and shared part of the proceeds of the sale of Variety with every staff member. FAREWELL TO JACK KINDRED, FORMER MUNICH BUREAU CHIEF. Jack Kindred, long-time Germany correspondent for Variety, died November 19 in Munich after a brief, serious illness. He was 92. Veteran mugg Hy Hollinger, a gentle soul and the antithesis of the pushy reporter, passed away, aged 97, last Wednesday (Oct.7) at the Olympia Medical Center, Los Angeles. Hy had been retired since 2008 after chronicling show biz history as a journalist and helping shape it when working on the studio/industry side.